You can almost guarantee that you’ll find a yiros shop in every shopping complex across the country. For the Brickworks Marketplace, it’s Yiros Central. 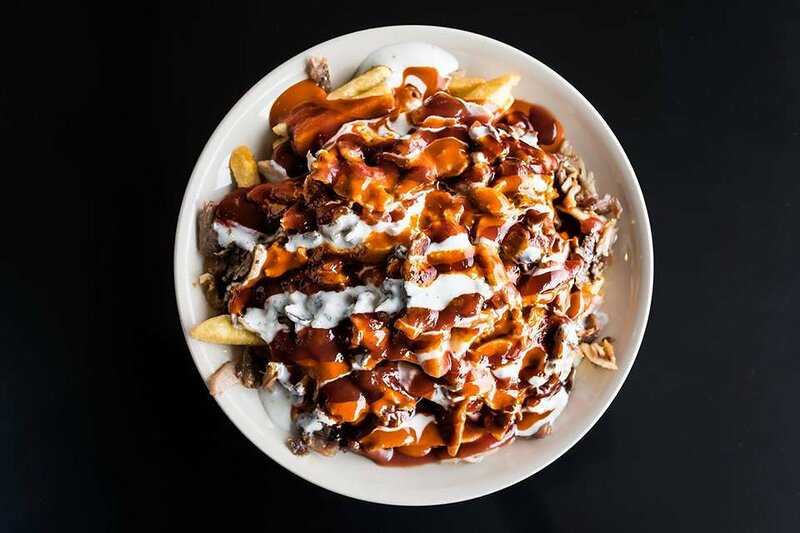 Feeling a bit naughty today, we went for the Combination AB; hot chips topped with chicken, lamb and beef yiros meat and smothered with tomato, garlic and hot chilli sauce. Served on a plate for dine-in customers, you could see the generous amount of sauces used. The various types of meat were well seasoned, and the chips were nice and crunchy. The garlic sauce had a good consistency and the hot chilli sauce actually made us raise a sweat. Fairly priced at the $13.90. The staff were friendly and welcoming, and the place was cleaner than many yiros shops you’ll visit. Definitely worth a visit if you’re in the area. Yiros Central is open from 10am-8pm on Monday, Tuesday, Wednesday and Friday, 10am-9pm on Thursday, 10am-5pm on Saturday, and 11am-5pm on Sunday.